The work – in geometric terms a hectoicosaduohedron – is made up of squares fixed around a pentagon to create a complex pattern of pentagons, squares, triangles and rhombi. Facets of mirrored or dichromatic glass taper towards the centre, but stop short of the core. 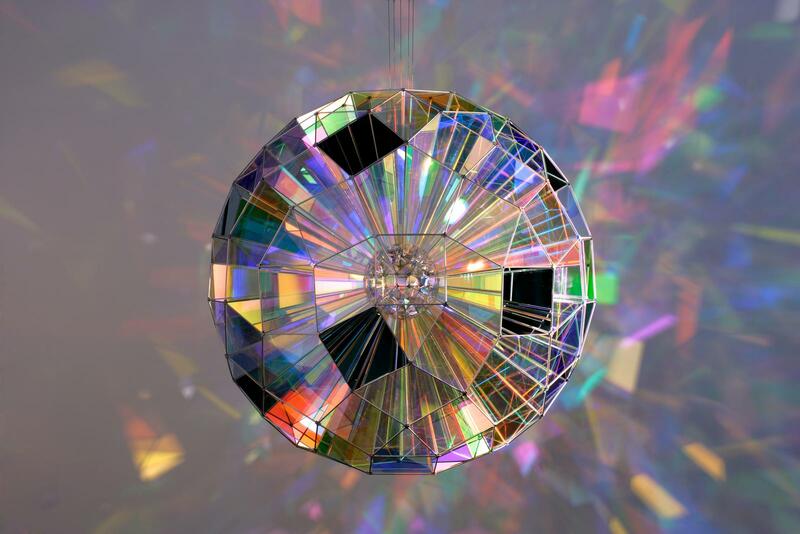 When viewers look into one of the square openings, the kaleidoscopic effect of the reflective glass generates the illusion of a sphere made up of squares. 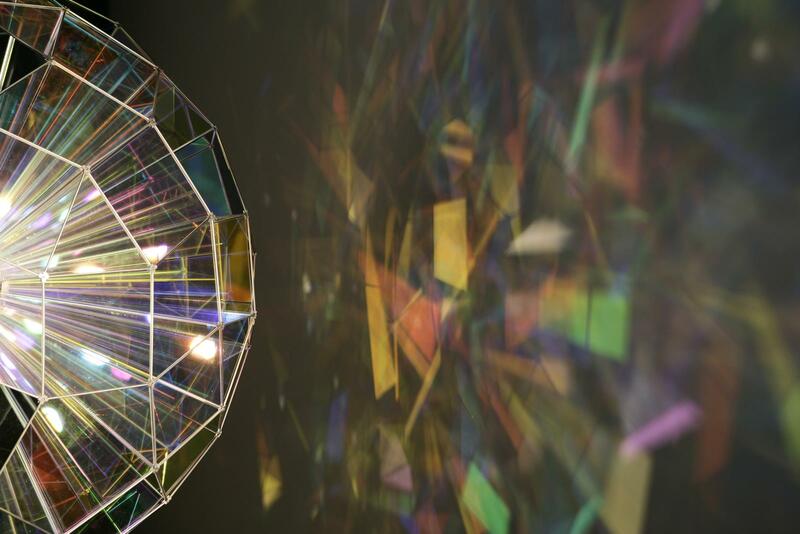 Multiple fragmented coloured reflections are cast onto the surrounding surfaces.